Native-style flutes lead captivating melodies! 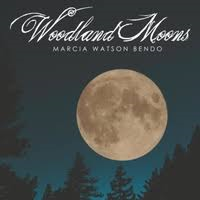 Sure to be cherished by many listeners, Woodland Moons beautifully embodies the often hard-to-recapture mystique of many earlier “new age” music albums – particularly those in the style of Windham Hill Records or the outstanding collaborations of R. Carlos Nakai and Peter Kater. Additionally, Marcia Watson Bendo’s notable integration of classical motifs would make her music especially well-suited for ballet and other visual dance performances. Warmly engaging and uplifting, yet overall subtle enough to play in a spa setting, Woodland Moons is a superb album and can only signal more wonderful things to come from this artist!